In order to operate, businesses need to be able to spend money. Some new companies may occasionally experience cash flow problems and get a business credit cards to help them through. When used wisely, business credit cards can help businesses to handle cash flow problems that are temporary and build the businesses’ credit. In 2015, there were 13.9 million credit cards for businesses in the U.S. While this only accounted for 4 percent of the total number of credit cards, the business cards accounted for more than 16 percent of the total purchases that were made. 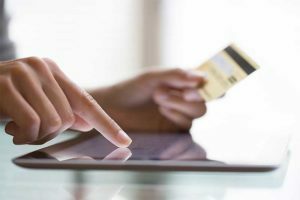 If you are thinking about whether to get a business credit card, there are some important factors that you should consider. When companies get a business credit card they work like consumer credit cards but may be used to help to keep track of expenses. They also give employees the ability to purchase things for their employers without having to spend their own money. For example, if your company has several employees who have to drive as a part of their jobs, you could give each of them a credit card to use to purchase gas. An office manager could be given a card to pay the internet, electricity, and lease expenses for the business. However, while credit cards can make daily purchases easier, there are some drawbacks to consider before you get a business credit card. Before you get a business credit card, you might want to consider a debit card for business as an alternative. These are cards that you can give to your employees to use in the same manner as credit cards. However, the cards are linked to your business account rather than adding to your debt with each charge. Debit cards may be used to track expenses since the transaction information will be available to you in black and white. Some debit cards for businesses also allow business owners to see their transaction information in real time online and to place limitations on how the cards can be used. How does a business debit card work? Before you get a business credit card, consider how a debit card for businesses might work for you. The Bento for Business Visa debit card lets you restrict how the cards can be used. You can limit how much each of your employees can spend by the day or week and control the balances on each card. The cards also let you restrict where the cards can be used and when they can be used. For example, you can limit your office manager from the previous example to only be able to use his card to pay specific vendors, including your property manager and the utility companies. He can be given a card that has a limit of $1,500 to pay for those items, and you can restrict the card to only working at the first of the month when the bills are due. If he tries to use the card at other times of the month, it won’t work. If he tries to use his card to buy lunch at his favorite restaurant, it also won’t work. 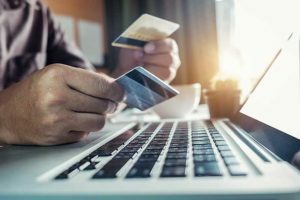 There are some other factors to consider when you are trying to decide whether to get a business credit card or a debit card. In order to get a business credit card, your business and you will have to undergo credit checks. Most card issuers want personal guarantees from the business owners so that they can go after your personal assets if the business fails. Credit cards also assess high-interest rates and annual fees. The average interest rate for business cards as of Oct. 14, 2018, was 14.74 percent. If you can’t pay off your bill in full each month, your debt can quickly spiral. Debit cards do not charge interest or high annual fees, and they might be available to purchase for a low monthly cost. Why are so many businesses choosing to get a business debit card? When it comes to the decision of whether to get a business credit card, many businesses are instead opting for a Visa debit card from Bento for Business. This card is not a credit card, so you do not have to submit to a credit check to get approved. The cards do not charge interest on your purchases and come in various packages. The features of the Bento Visa cards that appeal to most businesses are the extensive controls that they give to business owners. You are able to control when your employees can use the cards, how much they can spend, the types of spending that they can complete, and the locations where they can use the cards. This can allow you to keep the spending at your company under control and to track expenses at the employee or department level. How can a debit cards for businesses help me? It is an unfortunate fact that businesses are often the targets of fraud, and many of the perpetrators are employees. For example, the Association of Certified Fraud Examiners reported that business owners reported losing an average of 5 percent of their annual revenues to fraud in 2016. The Bento Visa debit cards help to mitigate your risk of fraud. You are able to see how your money is being spent 24 hours per day from your dashboard. You can also turn off a card by tapping a button on your mobile device if it is lost or you identify misuse. Finally, your ability to place restrictions on how the cards can be used can help to prevent fraud. Who can benefit the most from using debit cards for business? Small companies may benefit the most from getting debit cards. If you get a business credit card, you might find that you can’t shut off the cards remotely yourself and cannot limit your employees to spend less than the credit limits. 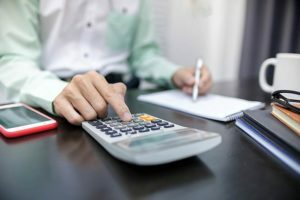 If your business is similar to many small companies, you may not have the resources to have your own accounting department. The Bento for Business Visa debit card can give you substantial expense controls so that you can manage your expenses more effectively. What is expense management, and how can a debit card help me to be better at it? One reason why businesses might consider whether to get a business credit card or a debit card is expense management. This includes the processes and policies that you have in place in your company to keep its spending under control. When you choose a debit card from Bento for Business and do not get a business credit card, you can take advantage of the expense management features. You can assign a card to each employee to use that is restricted to spending only a certain amount. Alternatively, you can assign a card to a department and track your spending across the various departments in your company. Getting debit cards from Bento for Business is a great alternative to getting credit cards for your business. Bento has excellent reviews, including a five out of five on Capterra and an A+ rating from the Better Business Bureau. Thousands of businesses across the U.S. trust Bento’s expense management solutions. To make it easier for you to decide, Bento offers a free 60-day trial. You can also request a demo of how the cards might work for you. If you have any questions, you can call 866.220.8455.